Choosing where to set up an office in Houston presents a unique challenge because of the vast options. With over 634 square miles of land inside the city limits, and 10,062 square miles in the greater Houston metropolitan area, it can be downright daunting unless you know something about the different areas of the city. Unlike most large cities, Houston has no zoning. This means that office space in Houston can be located anywhere in the city, right alongside residential communities and industrial areas. 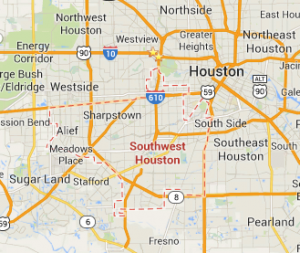 If you look at a map of Houston , it resembles a spoked wheel. In the center, is an area Houstonians refer to as “Inside the Loop.” This area is constrained by the 610 Loop. In this area are several unique neighborhoods, including the Downtown business district. The major freeway that runs through it usually refers to the various areas outside the 610 Loop. While the Greater Southwest Houston Chamber of Commerce’s definition includes the cities of Bellaire, Southside Place and West University Place, most Houstonians refer to the boundary lines of Southwest Houston as the pie-shaped wedge situated outside the 610 Loop, between Westheimer Road on the north and South Post Oak Road on the east, and fans out to just beyond Beltway 8 to the west. Above that is Northwest Houston , which also has a healthy workforce and extensive office benefits. The area to the southwest, or Southwest Houston, is one of the most densely populated areas in the city, and has the largest variety of international businesses. Contrary to the layout of many large cities, Houston’s population center is not concentrated close to downtown but in the suburbs, particularly in Southwest Houston. In fact, there are more banks per square mile in the neighborhoods in Southwest Houston than in any other area in Houston! Also included numerous specialty shops, strip centers, restaurants, service businesses and entertainment venues. 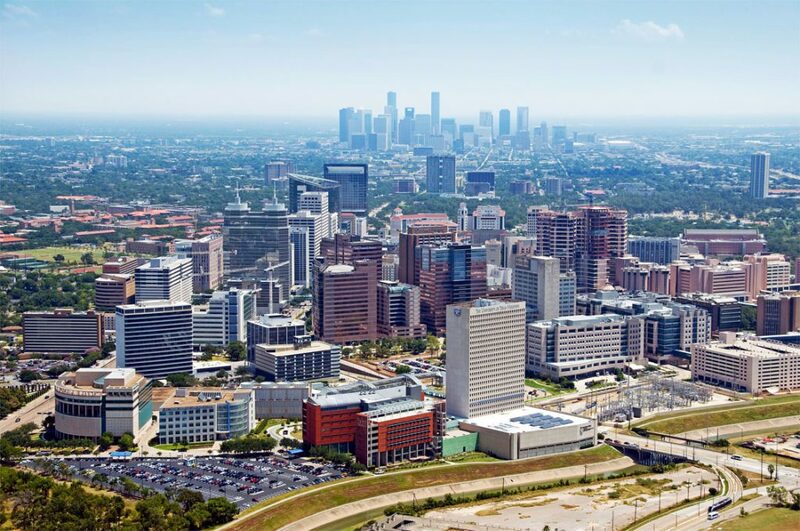 The area’s top hospitals include the West Houston Medical Center, Westbury Hospital and Southwest Memorial Hermann Hospital call Southwest Houston. There’s also a regional airport (Andrau Airpark) and bus service by Houston METRO with routes running 24-hours a day to the Houston Medical Center and Downtown areas. A light rail extension planned for both the Greater Sharpstown and Westbury areas makes the Southwest area even more appealing for any business wanted to relocate here now. Southwest Houston’s biggest asset is its affordability. With some of the most affordable housing in Houston and close proximity to major employment centers and corporate headquarters, Southwest Houston is an ideal location for working professionals. The area is brimming with a relatively young workforce, with an average age of 34 years old. The region developed in the 1960s as the immigrant population grew in Houston. Since the immigrant population was well educated and brought wealth with them when they came to Houston, the region steadily grew and developed an infrastructure conducive to raising a family. The cultural diversity also led to an explosion of niche businesses positioned to meet the needs of these diverse populations. Southwest Houston has since become the alternative to the high rents inside the Loop and Uptown Galleria . With the arrival of the 2000’s, Downtown Houston underwent a radical transformation as young professionals and empty-nest Baby Boomers looking to cut down on the commute moved into the central city, causing housing costs to climb dramatically. This shift created growth opportunity for businesses in Southwest Houston as residents moved there in search of lower rents and high population density. The neighborhood is an attractive choice for these current successful residents in their 30s as they start their families. The strong feel of community makes the area a great place to live and do business. Living in the Southwest area is easy for many reasons. Most of the Southwest area is easily accessible by major thoroughfares with wide esplanades that make travel in the area pleasant and safe. It’s a short commute to Downtown, the Medical Center, the Galleria, Greenway Plaza, and the Energy Corridor And the Westchase District is actually located in the heart of Southwest Houston. METRO (Houston’s transit authority) estimates travel times from Southwest Houston to Downtown, the Galleria and Greenway Plaza to be only 15 minutes, and to the Texas Medical Center only 20 minutes. In conclusion, the same things that made offices in Southwest Houston appealing back in the day still make it appealing as a business address today. It has unbeatable leasing rates, with thriving corporate businesses and retail locations in the region. The infrastructure of the neighborhood and strong sense of community make employees happy to call the region their home and shorten their commute. All economic signals indicate that the region will continue to grow.